Birth injury, or birth trauma, refers to a physical injury that occurs during the birth process. Some birth injuries, such as bruising and bleeding beneath the cranial bones (cephalohematoma) are more common, while other birth injuries are extremely rare. Although birth defects are often unrelated to the birthing process, certain birth defects and serious medical conditions (such as cerebral palsy) can be caused by birth injury. But while impressive strides have been made to protect infants and their mothers during childbirth, sometimes mistakes occur due to negligence on the part of a doctor, nurse or other hospital employee. Examples of negligence include inattention to detail, improper medication and dosage and steps leading to a prolonged delivery. If you suspect that your child was injured due to negligence, you may be entitled to compensation through a birth injury settlement with the liable party, or through a court award. For more information contact a birth injury lawyer and begin the process to file a legal claim for birth defect. The birthing process includes several mechanical movements, including compression, contraction, torque and traction. A birth injury can occur anytime something interferes with the mother's ability to make one of these movements. Sometimes, cesarean delivery can solve the problem, but this is not always the case. Caput Succedaneum. Severe swelling of soft tissues of the baby's scalp. Caput succedaneum occurs as the baby passes through the birth canal. This condition usually goes away within a few days. It is more likely to occur in babies delivered using vacuum extraction. Cephalohematoma. Bleeding beneath the cranial bones. Cephalohematoma looks like a bump on the head. It eventually subsides as the infant's body reabsorbs the blood, a process that usually takes around two weeks to three months. Serious cases of cephalohematoma can lead to jaundice. Bruising. Bruising occurs due to trauma associated with travelling through the birth canal, when the baby comes into contact with the mother's pelvic bones. Forceps can also cause bruising, as can vacuum extraction. Subconjunctival Hemorrhage. Bursting of blood vessels in the eye. Subconjunctival hemorrhage does not normally harm the eye and is usually absorbed in a week to ten days. Facial Paralysis. Pressure on the face can cause injury to the facial nerve. These injuries range in severity: if bruised, the nerve usually heals within a few weeks; if torn, surgery may be required. Brachial Palsy. Brachial palsy occurs when the brachial plexus  the group of nerves that serves the arms and hands  is injured. This birth injury is often associated with shoulder dystocia, or difficulty delivering the shoulder. Babies with brachial palsy lose the ability to move their arms. Although symptoms usually subside within six months, some cases require surgery to repair nerve damage. Fractures. Fracture of the collarbone is the most common fracture-related birth injury. Fractures that occur as part of the birthing process typically heal quickly. Cerebral palsy is a neurological disorder that appears during infancy or early childhood and affects coordination and movement. Cerebral palsy is not caused by the muscles or nerves, but rather by damage to portions of the brain that control them. Although in many cases children with cerebral palsy are born with the condition, in some cases, cerebral palsy results from an injury incurred during birth. And while improvements in prenatal and obstetric care have greatly reduced the incidence of birth injuries, there are still cases where medical mistakes or the trauma associated with birthing can cause cerebral palsy. When an obstetrician or other physician responsible for the mother's care neglects to perform the necessary tests, treat conditions that can affect a child's development or take the proper precautions to ensure that the delivery goes smoothly, he or she may be liable for any harm that comes to the child. If you think your child may have sustained an injury during birth, injury lawyers can evaluate your case, advise you of your legal rights, and help you determine if you might be eligible for a birth injury settlement or court award to offset your medical expenses and other factors. Birth defects can be defined as congenital, structural, functional or metabolic abnormalities that are present at birth. In the United States, around 150,000 babies are born with birth defects every year, according to the March of Dimes. While birth defects can sometimes be traced to inherited conditions, toxic exposure and other factors, they can also arise as a result of an injury sustained during birth. 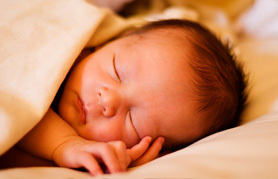 In addition, some birth injuries occur due to negligence on the part of medical staff. If you feel your child may have sustained an injury due to negligence, contact a birth injury attorney today to determine your chances of reaching a settlement and receiving compensation from the liable party. In the United States, around 150,000 babies are born with birth defects every year, according to the March of Dimes.